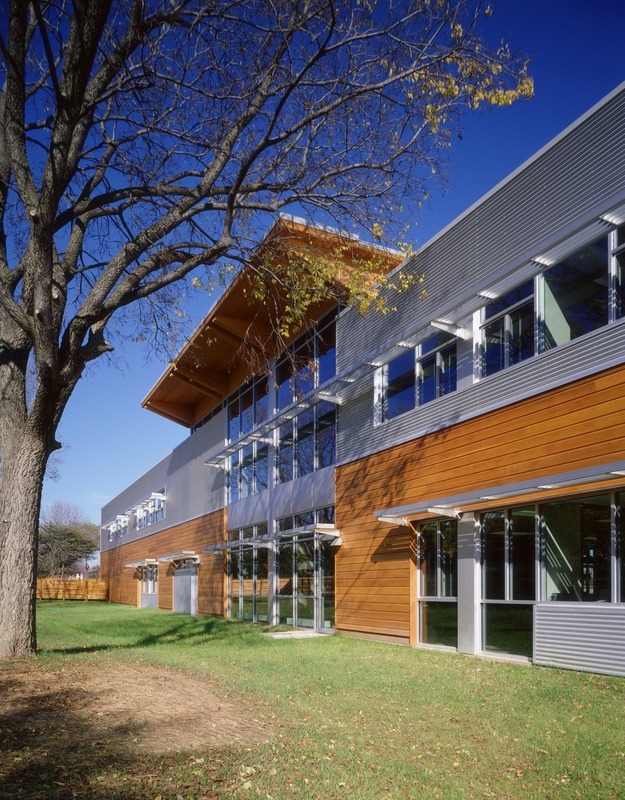 The 30,000-SF Conservation Education Center for the Zoological Society of Milwaukee County is located at the edge of the zoo’s grounds. 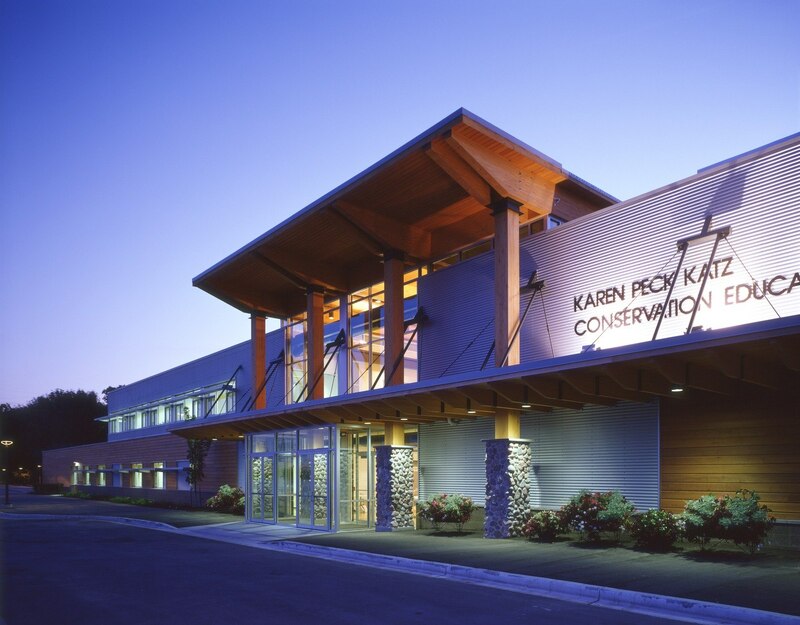 The building is designed with a modern sensibility emphasizing sustainable resources. 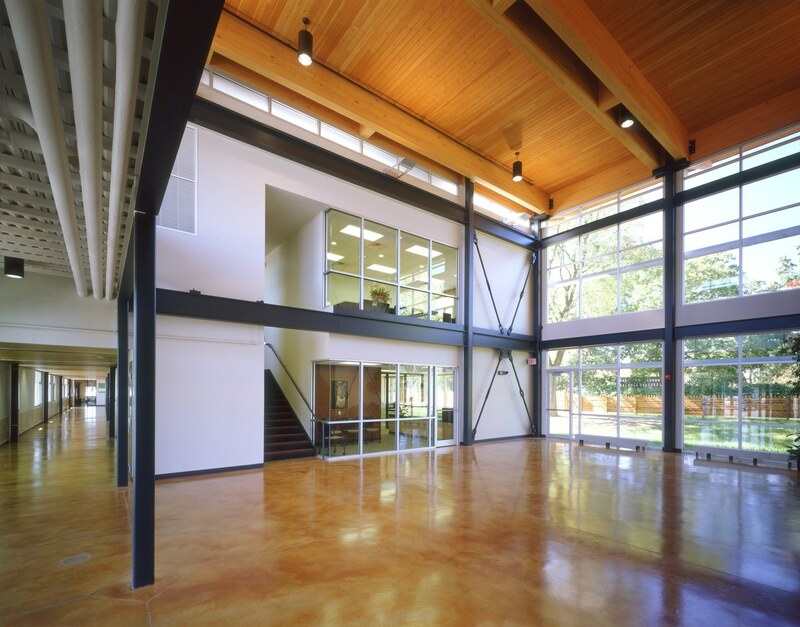 The 1-½-story building contains a double-height entrance/gathering room, eight classrooms, one lab, and administrative and teacher offices. Classrooms for the younger students occupy the ground floor, with older students and teachers’ office suite on the second floor. 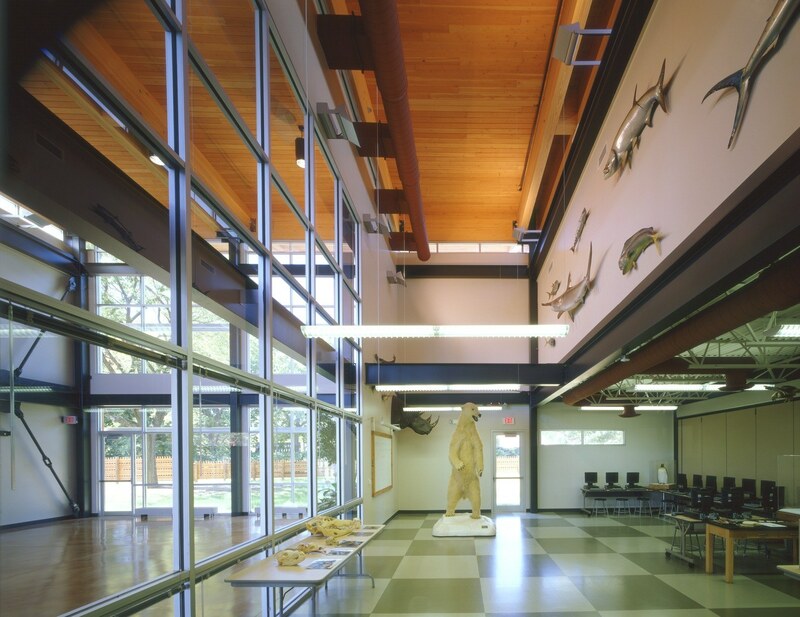 The light and transparent gathering space allows passersby to glimpse activity inside as students assemble for class.